For the last 5 days, I spent $0! Trust me. Today, I was sooooo tempted to buy breakfast today. I packed the leftovers last night in my lunch bag, but forgot to pack the fruit, snack bar & bread to make toast. So, I just had my salmon and rice leftovers with my ice tea. Still hungry. But, I will not budge. I am going to stick by my goal and scarf down when I get home. Oh, by the way, my DH flipped when he heard how much we spend on food. Yeah, he’s on my side for cutting that combined bill down. How’s your spending or No Spending going? I need a total $220 for this week. I will either take this out of the Cash Allowance funds or the Grocery Funds. I’ll update you on that. PS: If you are looking for Grocery Saving Coupons please visit Coupons.com. 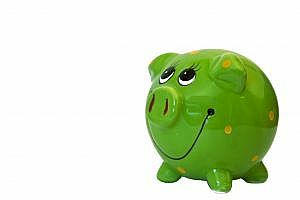 CouponMom offers the same exact coupons, but by linking on through Coupons.com on my site… you’ll help put a little pocket change in my piggy bank. There is no sign up, no fees, nada! Just click and print the store coupons you need. And check back weekly for updates! Thank U! This entry was posted in Finances, The Daily Grind on 2009-07-31 by Christine. $15 a day! I know its easily done though. It sounds like you were not cooking. Nice save! I know its an added task to the day. But for me, it helps me slow down the day. I enjoy packing my lunch now. Especially helps if I pack it the night before. Congrats! That is great that you haven’t spent anything!!!! We haven’t really either & it is amazing! Keep it up through the weekend!!!! We’re doin’ good. Now, if we can keep up the No Spend! I have some tasks at hand that will keep me at home for the coming weeks (like sorting out old photos). Task I otherwise wouldn’t deem to have time to do. Plus, I am starting my Christmas gift making. doing good girl, doing good!!! wow, $1,200 on food … a month! wow! That is the response I was waiting for. Its is a lot, huh? Then you think the extra $70 I add on for eating/drinking at work. I’m amazed too. So, its a good thing to analyze and see where we can cut down. Lets see how August goes. And thanks, Week 1 done good. Now for Week 2. I really am waiting for Murphy to arise because he seems to be lurking around people’s blogs these days. Yesterday, I decided that I was in a bad mood and I hadn’t bought lunch in forever so I was going to treat myself to something but then I couldn’t find anything that I wanted so I ended up eating what I had with me anyway. I’ve been pretty good about not doing any random spending. Even when I have cash in my pocket, I haven’t been running out to get coffee or snacks. I know it can be difficult to maintain discipline with our terms. And that it is appropriate to set some type of balance between spending and saving. And that is always a learning situation. But, I read that you splurged on a $1.50 ice coffee. Was it as tasty as you imagined? I heard that McDonalds (as much as I don’t like them) has really good coffees. Hmm… maybe I’ll have to try that free coffee Fridays if they still have it.